Value Investing » Investment Terms » PEG Ratio – Formula to Calculate and How and When to Use it? 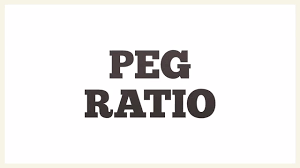 PEG Ratio – Formula to Calculate and How and When to Use it? PEG ratio is often used to bridge the gap between value and growth. Most value investors tend to consider the P/E ratio as one of the more important qualifying metric to find a value stock. However, the P/E ratio often does not tell the complete story. A stock may sell for a low price to earnings multiple and appear to be undervalued, but it is not necessarily an good investment. For example, if the company expects earnings declines in the future, the low P/E ratio may actually mask the overvaluation in the stock price. PEG ratio or Price/Earnings-Growth ratio is an attempt to normalize the P/E ratio with the expected earnings growth rate of the company. A low P/E ratio can be justified if the future expected earnings growth is low. A fast growing company on the other hand is able to command a higher price to earnings multiple for its stock. To get more accurate idea of the relative valuation of a company, we need to consider the P/E ratio in conjunction with the future earnings per share growth rate. You can calculate the PEG ratio using a 2 step process. P/E ratio is generally calculated as the Stock Price / Earnings per Share. This can also be expressed as Market Capitalization / Net Income. Next, we divide the P/E ratio calculated above with the expected Earnings growth rate. In the example above, if the investor only considers the P/E ratio for valuation purposes, he will determine that the stock XYZ is a better value since it has a P/E ratio that is 50% less than that of stock ABC. Once you consider that the company ABC is expected to grow its earnings 4 times faster than the company XYZ, you may now change your mind. Using price to earnings growth you find that the stock ABC trades at a lower PEG ratio than stock XYZ and therefore may offer a much better value. What is a Good PEG Ratio? Typically, it is recommended to target a PEG ratio of 1 or below when you are looking for a good value stock. 1. Earnings growth expectations are completely unreliable. Any use of the formula is only as good as the numbers that are fed into it as inputs. Any expected earnings growth in the future is just an expectation, and they vary wildly between different analysts. Even if there is a consensus, the future generally turns out to be different than planned. There is competitive changes, loss of market power, product substitutions, management missteps, etc, that we have no way of knowing today. 2. Typically P/E ratios are backward looking while the earnings growth rate is a forward looking metric. Future P/E ratio will be different than the one we use today. You could project a future P/E ratio if you wish, but this will introduce further uncertainty in the calculations. Still, many investors are fond of using the concept of Forward P/E and Forward PEG ratio. I strongly advise against this. Instead, I recommend that you consider the relative PEG ratios between different stocks within an industry and lean towards picking the stocks with lowest PEG ratios. A large amount of error in the future earnings growth arises from an overly optimistic or pessimistic outlook for the industry as a whole. Very likley an analyst will introduce similar error shifts in all the stocks within a given industry. So while the individual PEG ratios will be wrong, on a relative basis you may still come out with a good value stock. This assumes that you have settled on the industry as an attractive investment possibility (perhaps a cyclical opportunity – what are cyclical stocks?). A negative PEG ratio does not imply that the stock is a bad investment. It just means that you need to consider other ways of looking at the stock before you can judge if this is a good investment or not. I suggest that any stock can be a good investment at a price that is cheap enough. The idea behind PEG ratio, or any other valuation metric, is to judge the valuation before you buy stocks. While these metrics bring some sort of formulaic structure to the investment process, investing well is much more than using a set of formulas. We have collected a list of key financial ratios every investor should consult.